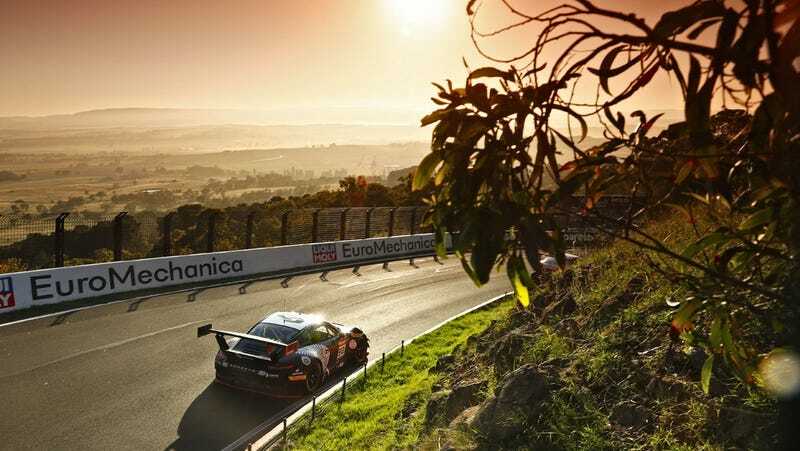 Some of the most breathtaking sports car racing of all time took place on Sunday in Australia as the young Aussie Matt Campbell put on an absolute masterclass in the closing hour of the Bathurst 12. After a strong and consistent run by his co-drivers Dirk Werner and Dennis Olson, Campbell took over for the final stint a bit behind the leaders, but on fresher rubber, and put an impressive stamp on Porsche’s win docket. This being the last race for the existing 911 GT3 R makes it all the more impressive that the quasi-factory supported team in the #912 car were able to put up a serious fight. It was pretty clear that the Porsche was a bit down on outright top speed to the BMWs, Aston Martins, Bentleys, and Mercedes AMGs at the front, but managed to find shall we say creative ways to get around them. The Porsches all weekend were lauded for their ability to save fuel and be gentle on tires, but when all the chips were down, Matt Campbell managed to find the lap pace needed to put in the W.
Near the end of an uncharacteristically long green flag run that lasted nearly four hours, Campbell found himself fighting tooth and nail with Chaz Mostert’s BMW M6 GT3. With a strong run out of Forrest’s Elbow and a drag race down Conrod Straight, Campbell put a deep brake move on Mostert with an aggressive hip-check that saw Mostert briefly leave the circuit. This event was under review after the race. Shortly thereafter a full course yellow was called to retrieve a dead KTM X-Bow on course, which bunched up the leaders and put them within spitting distance of Campbell. As the race went green again a few laps later, the black Porsche #912 was stuffed right up the back of Rafaele Marciello’s bright yellow Mercedes-AMG GT3 for a few laps. It quickly became clear that Marciello had run out of tire, and Campbell gave a hard charging dive to the apex at Hell Corner, a move worthy of applause. Then it was the battle with the leading Aston Martin of Jake Dennis. The battle with the Mercedes had put Dennis a handful of seconds up the road, and the first checkbox on the list was to reel in that lead, which Campbell managed to do in just a couple of laps, netting more than a second a lap at a time. From lap 305 to lap 307 Campbell sat impatiently behind Dennis looking for a way by. The Aston Martin clearly had more straight line speed, but the Porsche was clearly quicker in the twisty bits, running within a razor’s edge of the Aston’s rear bumper by the time they got to the top of the mountain. When Dennis left just enough room to stick in the nose of the Porsche, Campbell made his move down the inside at Forrest’s Elbow. What a stunner. The Aston likely could have made the comeback down Conrod if it weren’t for lapped traffic forcing him to concede the position. Campbell didn’t know for certain that he’d won the race until a couple of hours later when the official word came down that no further action would be taken on the aggressive move performed on Mostert. Elation then, for the Porsche team and its first victory down under. You can watch the final four hours of the race broadcast here, but really, you only need to see the final 45 minutes of the race to understand just how great the racing action was. It’s only February, but this is already a strong contender for most exciting race of the year. If you have the time to watch the final few hours of the race, please treat yourself to it, because it is an incredible thrust and parry battle between some of the greatest GT racing drivers in the world. 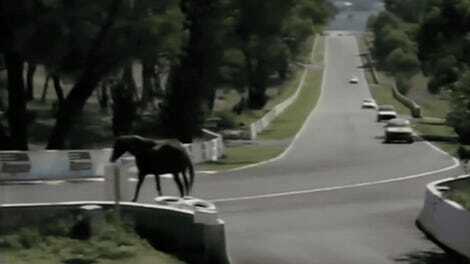 This is what motorsport is all about.